On November 15, Central Student Government rejected a resolution that called upon the University to “Divest from Socially Irresponsible Companies that Violate Palestinian Human Rights” in a 34-13 vote. The resolution, which was proposed by the campus organization, Students Allied for Freedom and Equality, stipulated that the University establish an ad-hoc committee that would investigate the moral and ethical implications of University investments in Boeing, Hewlett-Packard, G4S, United Technologies, and other corporations that have business dealings with Israel. Earlier last week, the Jewish campus organization, Michigan Hillel, circulated a petition against the affirmation of this resolution. The petition states that the resolution only seeks to divide students, and “demonizes Israel while marginalizing the pro-Israel community on campus.” Any legislation or resolution that seeks to delegitimize the state of Israel is rightly met with the suspicion of being divisive, and it is especially concerning in this situation. Last month, Students Allied for Freedom and Equality (SAFE) was criticized for being intentionally antagonistic towards the Jewish community on campus by erecting a mock Israeli apartheid wall on the Diag on the Jewish High Holy Day of Rosh Hashanah. The group was met with allegations of purposefully alienating Jewish and pro-Israel students, and some accusations of being anti-Semitic. SAFE responded to these claims by arguing that there were circumstantial factors that caused the event to be held on Rosh Hashanah, and that criticisms of anti-Semitism are inherently prejudiced, as they allegedly operate under the assumption that Palestinians are anti-Semitic. 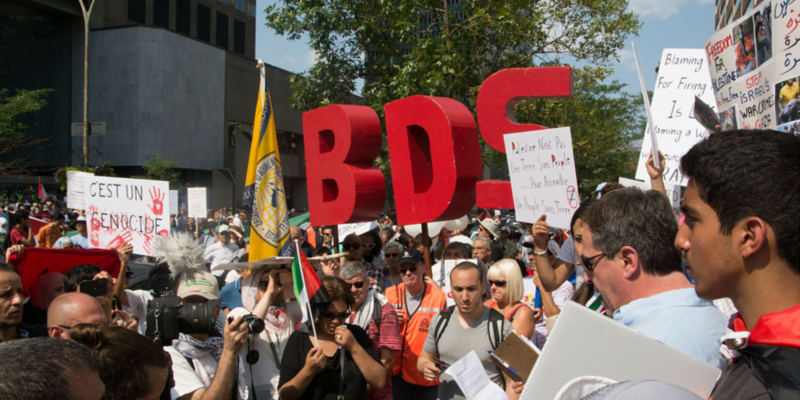 With the goals of the BDS movement in mind, it is difficult to be assuaged by SAFE’s claim that their divestment resolution seeks to promote freedom and equality for the Palestinian people. Regardless of advocacies for human rights, actions that seek to bring about the end of the world’s only Jewish state, and denying the self-determination of the Jewish people to a sovereign nation, are inherently anti-Semitic. If SAFE does not wish to be affiliated with such a cause, they should not hide behind the guise of punishing “state actions,” and dissociate themselves from a movement that seeks neither peace nor co-existence. All students, regardless of religious affiliation, should not have to be concerned about the prospect of University enforced policies that directly threaten their religious identity. I truly hope SAFE will propose resolutions in the future that seek to reconcile the Israeli-Palestinian conflict, and avoid identifying with a campaign of hatred.